preclinics owns an unique immunization farm with a variety of species, extensive premises and full-service antibody development. Choose one or several of the service modules below or take the complete tour, whatever satisfies your needs. NEW Immunization cell line: Let us prepare species-specific immunization cell lines expressing your target on the cell surface. DNA construct for gene immunization: We are performing DNA immunizations, starting from your target sequence. Peptide conjugation: Provide your sequence or peptide and let us prepare the immunogens (KLH, OVA, BSA). If your species or service of interest is not listed here, please don‘t hesitate to contact us! 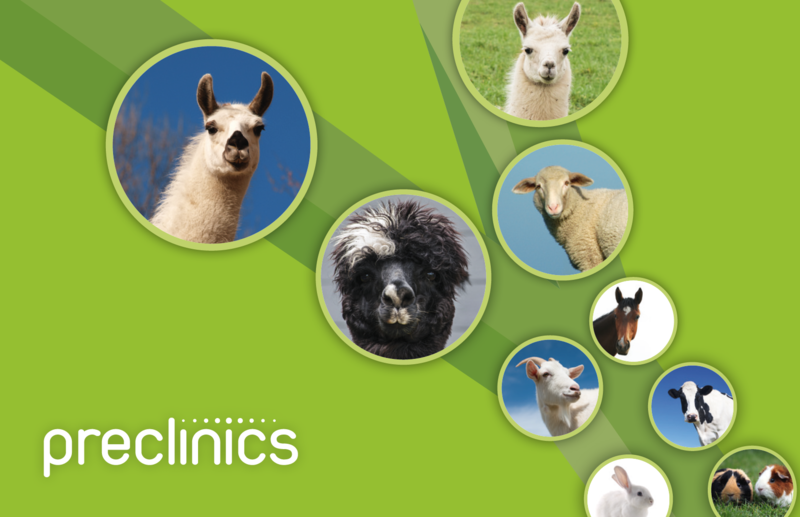 We started immunizing llamas and alpacas for our customers more than 20 years ago. Based on this profound experience, we broadened our portfolio in both terms of species and services. For further information about camelid antibodies, please have a look at our camelid VHH service. We‘re looking forward to helping you realizing your innovations!